This page is the conference page for the 2019 Northeast Popular Culture Association (NEPCA) Conference. It will be updated periodically and should be the go-to place for information. We also encourage you to sign up for the NEPCA blog to keep up-to-date with our conference and other information and opportunities (sign up via email, RSS, or other preferred formats on the right-hand column). 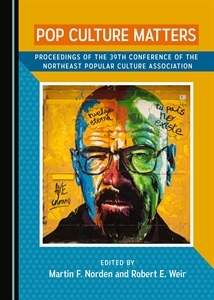 The 2019 Northeast Popular Culture Association (NEPCA) will host its annual conference this fall on Friday, November 15-Saturday, November 16 at the Sheraton Portsmouth Harborside Hotel in Portsmouth, New Hampshire. We are looking forward to another engaging and rewarding conference for new and seasoned members alike. We are seeking proposals for panels and presentations for this year’s conference. NEPCA prides itself on holding conferences that emphasize sharing ideas in a non-competitive and supportive environment. We welcome proposals from graduate students, junior faculty, and senior scholars. NEPCA conferences offer intimate and nurturing sessions in which new ideas and works-in-progress can be aired, as well as completed projects. We have over 35 different areas for you to submit your proposal to, so be sure to check out our Areas of Pop Culture to determine the best place for your proposal. If you have questions about a particular area, reach out and ask the appropriate Area Chair. Please submit your proposal via the online form: https://goo.gl/forms/QdMp1Ov9bUKYTSin1 Both proposals for individual papers and complete panels will be considered. The deadline for proposals is June 1, 2019. To get the group rate at the Sheraton Portsmouth Harborside Hotel for 179 USD per night, be sure to go to this link. The 2019 conference is about 1 hour from Boston, just under 2 hours from Providence, RI or Augusta, ME, just under 2.5 hours from Hartford, Connecticut, about 3.5 hours from Albany, NY and Burlington, VT, 4.5 hours from New York City, 5 hours from Montreal, QC.